I have the good grace to be working with some incredible people. People who have “achieved” a lot in this life. And I am noticing a pattern that seems to operate in this condition of being human. Powerful leaders, elite athletes and coaches alike are lost in their shadow. You see, as humans, we create an identity for ourselves and believe this is who we are. Any requirement of life to behave out of this identity and we come unstuck. Despite running a multi-million pound business or winning a World Cup, the ability to express a simple emotion that doesn’t fit in with the self image can be excruciating and often is avoided. Recognising this pattern and working to expand the range of behaviours can be very useful and rewarding. Lives do change. Looking at self identity and realising this is an illusion is also essential. And yet, it is also necessary to go beyond all of this, to invite a life of bliss. I have enjoyed a “successful” life on the face of it. Sailed through school, University and have managed to enjoy interesting work in challenging roles. And despite this relative “success” I have always known there is something deeper worth knowing. You have never done anything to find out where the steering wheel is for your vehicle. People achieve a great deal in life without knowing where the steering wheel of their being resides. 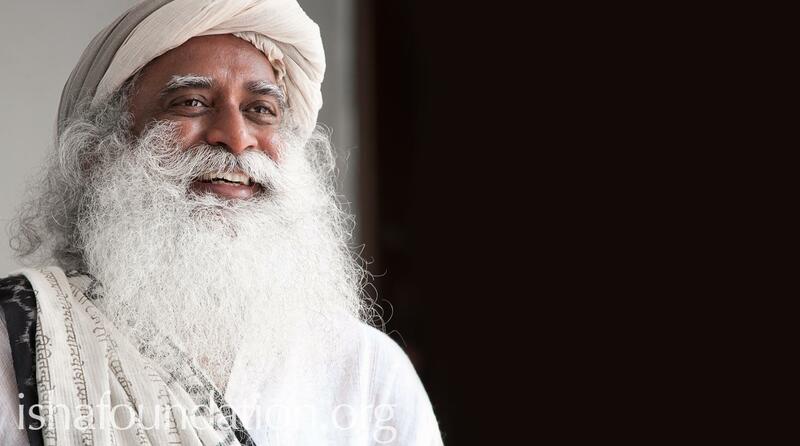 You could own the whole planet and as Sadhguru says, without knowing your steering wheel, your life would be without joy. The steering wheel is the well-spring of life within. My own life truly began to shift when the wheel was encountered. Now I have the privilege of helping people who have achieved incredible “success” in the World access their own steering wheels. Even when this is tasted briefly, the grip of the self-identity begins to wither away into the ether. The thing about the steering wheel is, that it’s in the most obvious place. The life force that turns our food into bodies, runs our internal systems and gives us the opportunity to go beyond the mind is within. Within the very case that has carried us around for all of these years. And its hard to believe that the answer is here, because it is just so obvious. How could the key to our salvation have been within our grasp from the very beginning? Do not turn your attention elsewhere in your search for the Truth, for it is nowhere else to be found but within your body. Eckhart Tolle echoes this feeling when he tells us to search exclusively within our body. Truth is nowhere else to be found. Writing about this takes my attention inwards naturally. Nothing needs to be done. All by itself, attention goes inwards and a sense of deep peace begins to be felt. It took many years of searching for this search to yield any results. The search was worth it. What else could be the purpose of human life? I no longer feel the hollow “success” of the outer life. Wherever you find yourself in life, you are a leader. Whether you are an elite sportsman, business leader, mother, father or son, you will not feel deep contentment until the truth within your body is known. Do the work on your identity and work at the boundary of your behaviour, as this will create a richer life. And please take this invitation to find your steering wheel, the truth within your body. Because when this happens, everything changes. Contact me if you want some help finding your steering wheel and turning on the ignition. Hello Daniel. I am interested in a session with you. This is a very exciting possibility. I will continue to read about what this might entail. Thanks Kacey. Please send me a sample. With love, Daniel.